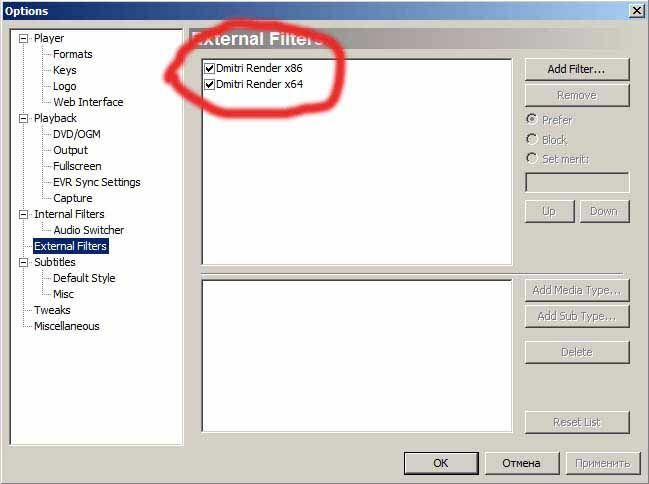 Free download DmitriRender latest version. It is a DirectShow filter. It converts video frame rate in real time and allows you to watch any movies and videos without jerks and turbidity. It calculates on the video card and inserts frames with intermediate position of objects into the video. This can significantly improve the viewing experience. Motion in the frame obtains a smooth, monolithic, fully synchronized with the output device (monitor, projector, or TV) refresh rate. Quality – the filter uses latest advances in GPU-oriented algorithms for Frame Rate Conversion (FRC) and Motion-Compensated Frame Interpolation (MCFI). User Friendly – user does not need to customize the process smooth playback, everything happens automatically. Versatility – filter supports video with not only constant but also variable frame rate, not only software decoding but also native hardware DXVA-decoding. Modern – DmitriRender fully uses modern computing capabilities, such as DXVA-decoding and GPU-calculations. Support for 32-bit and 64-bit mode. It requires a NVIDIA, AMD or INTEL video card, with hardware support for DirectX 11 or above. Saving – On NVIDIA and AMD video cards all calculations are carried out on the video card. The CPU load is close to zero. This reduces power consumption of the computer in order to reduce the noise or to use the CPU for other necessary calculations, such as software video decoding in the absence of hardware support (eg, H265 or 4K UltraHD video), software deinterlacing, software postprocessing filters, etc. Adaptive – algorithm adapts to the available capacity and specific video file that allows both to work on slower video cards and squeeze the maximum quality on powerful hardware. 32-bit (x86) or 64-bit (x64) processor with two or more cores with a frequency of at least 1 GHz with SSE2 support. Video card with hardware support for DirectX 11: NVIDIA GeForce graphics card the 400th, 500th, 600th, 700th, 800th, 900th series; or graphics card AMD Radeon HD 5000th, 6000th, 7000th, 8000th series; or graphics card AMD Radeon R5/R7/R9 200th, 300th series; or AMD APU with built-in graphics processor; or INTEL integrated GPU on the 3rd Generation Intel® Core™ processors or higher. At least 512 MB ​​of video memory.